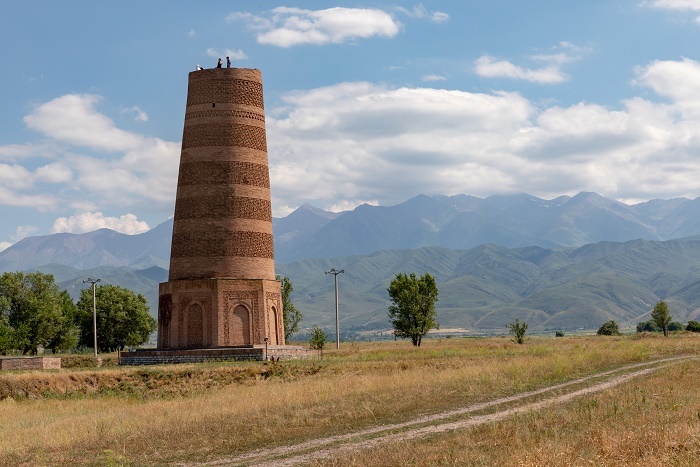 The Burana Tower is a large historic minaret that can be found in the Chuy Valley in the northern part of the Kyrgyz Republic. 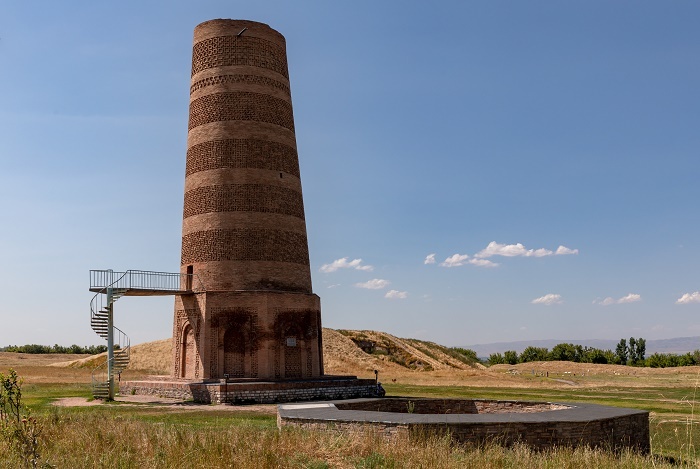 As it is some 80 km (50 mi) from the country’s capital, Bishkek, the tower is frequently visited by curious people who would like to see something different, yet historic from the small nation in Central Asia. 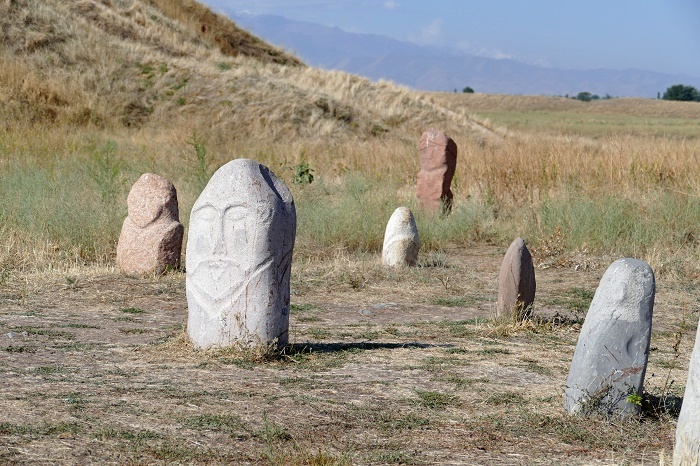 Surrounded by golden grain fields, with snow capped peaks in the distance, the Burana Tower alongside some grave markers and remnants of a castle are what has been left from the ancient city of Balasagun. Since the city was established at the end of 9 century by the Karakhanids, it is estimated that the tower that much old as well, even though previously it was estimated to have been 45 meters (148 feet) tall. 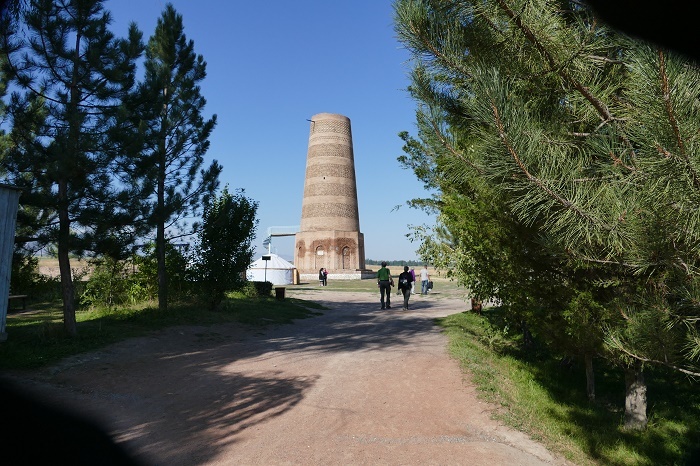 Today, due to the seismic activity throughout the centuries, Burana is only 25 meters (82 feet) above its surroundings, which is almost half the height it was once. Regarding its construction, there is a very sad legend connected to it. 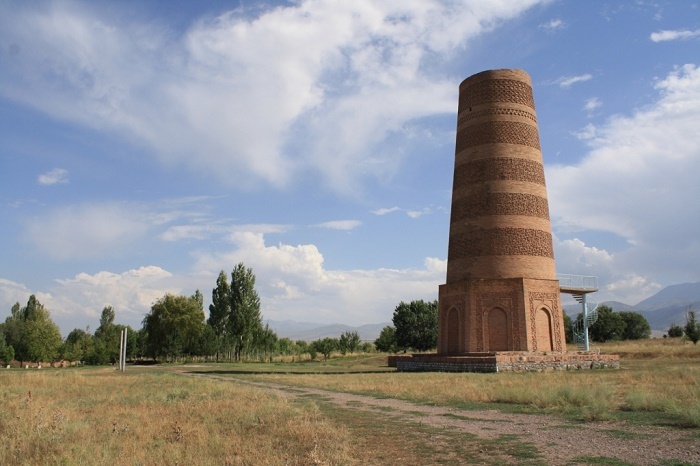 Namely, a witch warned the local king that his daughter will not live pass the age of 18, where in order to protect her, he built the Burana Tower within which he kept her. As nobody entered the tower, except for the servants, one day some of the servants while bringing in the food, brought also a poisonous spider which unfortunately bit the king’s daughter. This was deadly for the daughter who was only 18 years old. 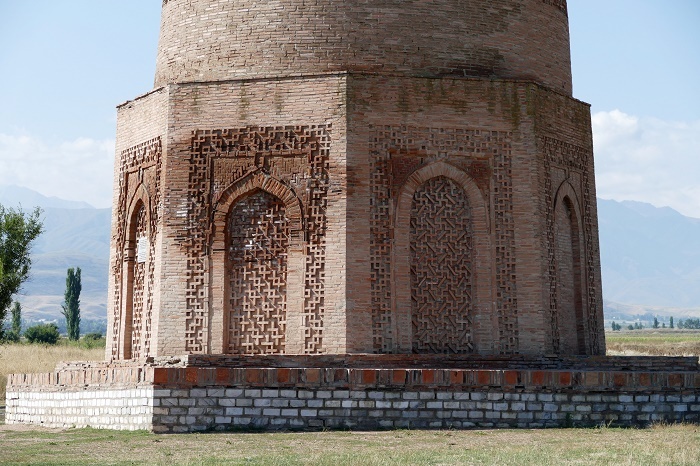 Still, constructed entirely from bricks, there are interior stairs leading to the top of the minaret, and recently there are external stairs which help visitors to go inside. 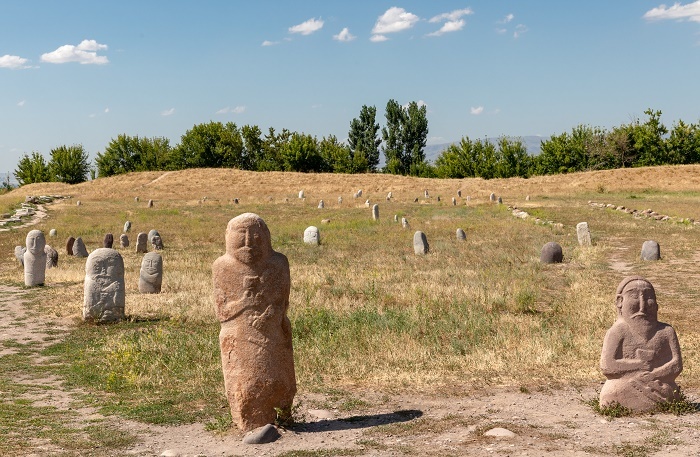 With the renovation projects carried out throughout recent years, the site has been well preserved and in addition to mausoleums, castle foundations and grave markers, it functions as an open-air museum that attracts plenty of people. 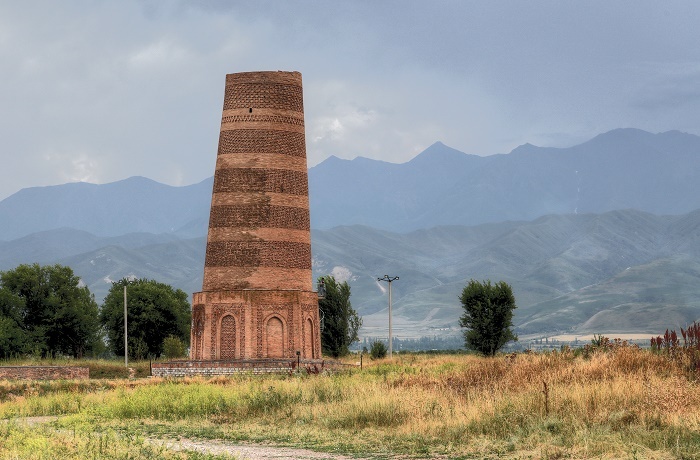 All in all, as Kyrgyzstan was part of the important Silk Road, nowadays the nation is well known for its sensational mountains and adventure activities, and slowly gains the public’s attention with ancient structures such as the Burana Tower which is definitely one of the greatest monuments within the country.